With its elegant silhouette and powerful posture, the jaguar makes an impressive decoration object or ideal gift for men. 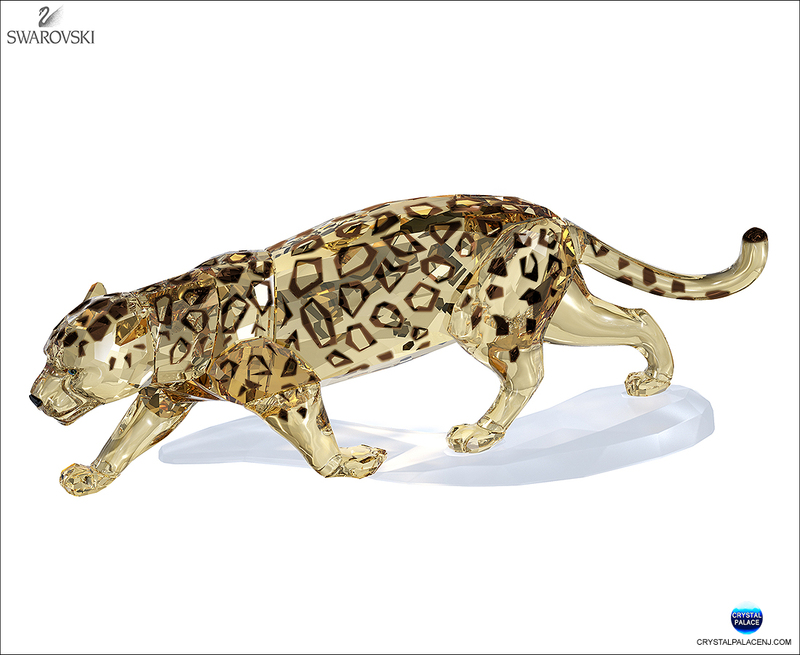 This stunning sculpture gleams in Crystal Golden Shine with accents in Crystal Satin, reflecting the typical fur pattern of this dynamic wildcat. It stands on a matt clear crystal base.